Or, a battle-axe gules, hafted sable, within a double tressure sable. 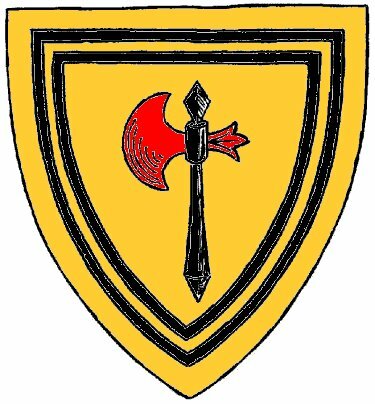 (Fieldless) From a torse of Or and gules a dexter armored arm embowed grasping a battle-axe gules hafted sable. Arms by Nicholas Bawcock of Petersfield & Evaine ni MacGreger.